The Northern Echo reports on the success of our Darlington office. Criminal defence solicitor Stephen Andrews combines both his nearly 25 years of experience and his passion for ‘giving people a voice’ to successfully head up our Darlington branch. 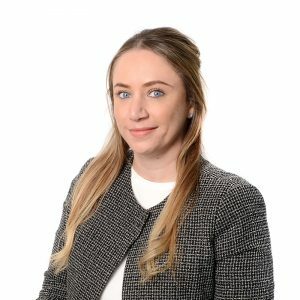 Alongside Stephen at the Darlington branch is Stephanie Thompson, also a criminal defence solicitor, Kirsty Nelson, a family solicitor specialising in care proceedings, and the new addition to our team Nicola Merson, also a family solicitor. ‘Operation Seabrook’ is a large scale investigation into allegations of sexual and physical abuse against detainees at Medomsley Detention Centre. It was launched in August 2013 by Durham County Police, and is now the biggest investigation of its kind in the UK. County Durham has moved a step closer to closure today with the criminal conviction of another of the centre’s senior staff. Previous trials in 2003 and 2005 led to the conviction and imprisonment of former members of staff, Neville Husband and Leslie Johnson, who have since died. Now in three separate trials, there have been further convictions as a consequence of the brutal regime of Medomsley Detention Centre. Five former prison officers, Onslow, McGee, Greenwell, Bramley and Blakely, now await sentencing. Here at Watson Woodhouse Solicitors, we have a leading Civil Litigation team who want to help victims of this abuse seek justice. Civil Litigation solicitor, Alistair Smith, has been leading the fight for justice for the Medomsley Detention Centre Victims. He has been at the forefront of a steering group, bringing solicitors firms and claimants together to pursue Civil claims against the Ministry of Justice. Alistair Smith is vastly experienced in both present and historic abuse cases and is leading this fight for justice, by heading a group of solicitors and attempting to negotiate settlements of all the claims with the Government. Alistair has also had recent success with the Court of Appeal case of JT -v- First Tier Tribunal, where the ‘same roof rule’ was overturned. JT and many other victims of similar abuse, are now able to claim for Criminal Injuries Compensation. Read more about the changes to the ‘same roof rule’ here. 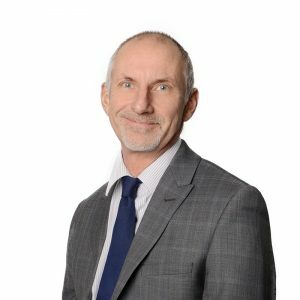 Alistair Smith has an excellent track record of achieving results and because of his experience, is able to provide a personal service tailored to the needs of the individual clients case. We understand the issues and trauma that survivors have had to deal with, and so we aim to ensure the process runs as stress free and smoothly as possible. We deal with all enquiries in a sensitive and confidential manner, with both male and female solicitors available to provide advice and assistance on a ‘No Win, No Fee’ basis. With Medomsely Detention Centre and other historic abuse cases, Watson Woodhouse Solicitors offer a no obligation, free initial consultation with flexible appointments to suit your needs. Watson Woodhouse Solicitors will not deduct any success fee from your award, to ensure successful claimants retain 100% of their damages awarded. What is ‘The Same Roof Rule’? This section denied compensation to victims of violent crimes (before 1979), if they lived with their attacker at the time. The Civil Litigation team of Watson Woodhouse challenged this rule on behalf of a lady, JT, from Teesside. The team successfully challenged the rule with the Court of Appeal case of JT -v- First Tier Tribunal. It was found that the rule unlawfully discriminated against our client. Subsequently, Parliament decided to take out this unfair and discriminatory rule out of the Scheme completely. The Same Roof Rule was overturned. What this means for victims and survivors? This means that JT and other victims of assault between 1964 and 1979 can now apply for compensation. If you were the victim of assault by someone you were living with between 1964 and 1979, you may now be able to make a successful application to the CICA. What should somebody do who thinks they are impacted by the “Same Roof Rule” change? Speak to Watson Woodhouse who have successfully overturned this rule. We have specialists in this field and an in-depth understanding of challenges that survivors can face having challenged this rule in the Court of Appeal. 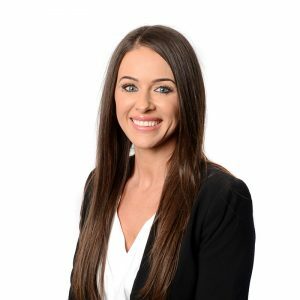 With vast experience, and an excellent track record of achieving results, we provide both a professional, and personal service, tailored to the needs of the individual clients case. You may be able to claim even if you have previously applied and been rejected. Cases can be conducted under a “No Win No Fee” agreement. New Year new office! The Harrogate team are on the move to larger premises. 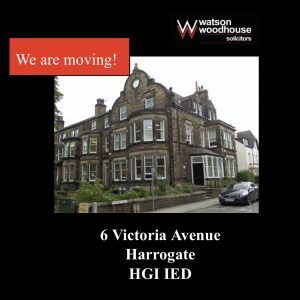 The new centrally located offices in Victoria Avenue will accommodate the expanded team and help to offer the people of Harrogate an even broader range of specialist legal support. The new office will open on Monday 4th February 2019. In the year ending March 2018, two million people told the Crime Survey for England and Wales that they had been a victim of domestic abuse. With this in mind, a draft domestic abuse bill is being considered by MPs. The bill sets out a wide range of new measures to protect domestic abuse victims in what ministers are describing as landmark legislation, as new laws will create a legal definition of domestic abuse for the first time, including economic abuse and control. The legislation will also see the banning of abusers from cross-examining victims in family courts, something which has been long awaited by many people. The new measures have been described as a “once in a generation” opportunity to combat the impact of abuse. It is also thought that the draft bill going before MPs will create new powers to force perpetrators into behaviour changing rehabilitation programmes. As well as setting up a national “domestic abuse commissioner” who will be tasked with improving the response and support for victims, and make the victims automatically eligible for special protections when they are giving evidence in criminal trials. Giving domestic abuse a definition will make it emphasise that it goes beyond violence, and includes victims who are affected psychologically and economically manipulated and controlled. Over the past year, there has been increasing awareness of the punishing effects of cuts to legal aid for family cases, which has resulted in many alleged perpetrators of abuse acting as their own lawyers and, as a result, cross-examining victims during court proceedings. It is, therefore, no surprise that this bill has been eagerly anticipated. Watson Woodhouse Solicitors are representing 44 Middlesbrough football fans who have launched an appeal to raise £100,000 through the crowdfunding site ‘Crowdjustice’ to take action against police. The money raised will help them pursue a claim for false imprisonment and breach of their Human Rights under Article 5, 8 and 10 of the European Convention of Human Rights. The claim comes from an incident on 17th March 2015, when Middlesbrough football fans travelled to a Derby away game. Prior to the game officers from various police forces were involved in issuing a group of approximately 50 football supporters with dispersal notices pursuant to Section 34 and Section 35 Anti-Social Behaviour, Crime and Policing Act 2014 (“the 2014 Act”). This resulted in the fans losing their liberty for over four hours and, of course, missing the game. 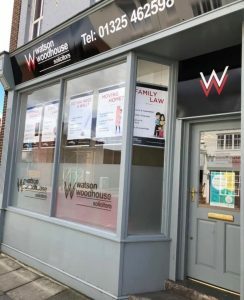 While Watson Woodhouse Solicitors are providing their services on a ‘No Win – No Fee’ basis, should the claimants lose in their action, they will have to pay the legal costs for the police which may be in excess of £100,000. However, the fans have pledged that if they win their case, which they are confident of doing so the money pledged will go to a range of very worthy charities and/or to help fight other good causes. Want to get a degree but don’t want the debt? Want to start you career in marketing and start earning? Why not do both with us? Starting salary of £11,500 plus ALL university fees paid. 37.5 hours per week including half a day per week day release for study during term time. Gain BA(Hons) Management Practice from Teesside University without the need for a student loan. As a student of Teesside University, you will have FULL access to the student club and activities, library, study and sports facilities. The role is based at our head office in Middlesbrough. Start your career and degree this September. Judgment following a challenge of CICA “Same roof rule” gives hope to victims of abuse who lived with their perpetrator prior to 1979. The Court of Appeal has handed down Judgment, following a challenge of the Criminal Injuries Compensation Authority (CICA) scheme, which currently prevents survivors of domestic abuse who lived under ‘the same roof’ as the abuser prior to 1979 from accessing compensation. The decision comes after a lengthy legal battle on behalf of, JT, a survivor of abuse. The Judgement does not change the scheme and will not immediately affect others, however, this is a huge milestone and a step forward for many survivors of abuse. The decision follows an interim report in April when the Independent Inquiry into Child Sexual Abuse (IICSA) recommended that the rule be scrapped. The Government need to change the scheme, and this needs to be done now, to stop the injustice and discrimination experienced by JT and many others like her. Watson Woodhouse Solicitor Alistair Smith who has been working directly with the survivor said “ The basis of the ‘same roof rule’ was to stop people who were assaulting people living in the same house, from benefitting financially if compensation was awarded. It was never envisaged to take into account people like my client who were children at the time and had no choice as to where and with whom they lived”. JT is delighted at the news and became extremely emotional when the decision was announced, she has stated “I cannot believe the outcome, I am in shock, after so many knock backs in my life I was expecting the worse. I am delighted at the decision, not just for myself but hopefully this will help others like me. I was only 4 years old when I was abused, I had nowhere to go at that age, I have lived with this all my life but finally feel like I have achieved something good out of such an awful situation”.